Lisa Brown was out in her fields early one morning when a horse named Jimmy lay down to take a quick nap. 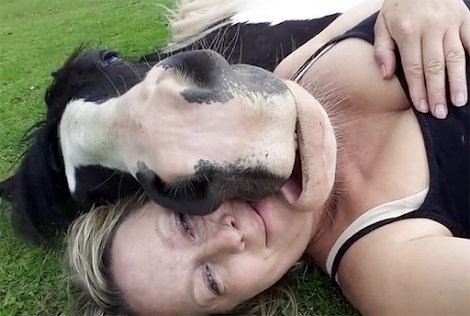 So, she plopped down next to him to keep her equine friend company…but then he started to use her as a human pillow! It might sound uncomfortable, but this giant was gentle.